Matthew Vega joined Barry Isett & Associates, Inc. in 2006 to serve as a receptionist and administrative assistant for the Lehigh Valley headquarters. After two years of successfully serving in this capacity, Matthew transitioned to a nearby office where his responsibilities focused on several departments: Mechanical/Electrical/Plumbing Engineering & Fire Protection, Structural Engineering, Project Management & Construction Services, Forensics Building Investigation and Code Inspection & Plan Review. Once additional space was available at the Lehigh Valley headquarters, all departments reported to that office and Mr. Vega rejoined the administrative team there. Within a month of returning, he earned a new position: Matthew became the Code Service Assistant—the first administrative role specific to a department. Matthew tends to 25 code officials and well over 50 municipalities on a given day. His responsibilities vary from day to day: tasks include dealing with general permits; entering projects into Deltek Vision—the firm's enterprise resource planning software; keeping track of various projects; running invoices and miscellaneous payments; and formatting documents, such as proposal submissions or notices of violation. Richard Sopko joined the Code Services Department of Barry Isett and Associates in 2017, bringing 40 years of experience in construction and code enforcement. He was the zoning and code enforcement officer for Dalton Borough, Lackawanna County for three years before joining Isett. Prior to that, he had an eight-year career with Building Inspection Underwriters of PA, where he served as the building code official for 12 municipalities, performing residential plan reviews; residential construction inspections; and issuing permits and Certificates of Occupancy. For 19 years, Mr. Sopko headed his own construction firm specializing in new home construction, residential renovations and light commercial renovations. At Isett, he provides plan reviews and conducts residential and commercial construction inspection, as well as assisting with zoning enforcement and property maintenance issues. He principally serves Harveys Lake Borough, Dallas Borough, Salem Township and Plymouth Township. Mark Prout joined Barry Isett and Associates in 2017, bringing more than 35 years of experience in construction and inspection. While employed by Commonwealth Code Inspection Service, he provided commercial and residential code inspections to the Town of Bloomsburg and electrical inspectors for local contractors in neighboring municipalities. He is a 20-year veteran of the Bloomsburg University Facilities Management Department, where he provided construction inspections and project coordination for campus construction projects. Earlier in his career he headed his own construction firm which built and remodeled residential and commercial buildings; during that period, he also performed home buyer inspections. For Isett, Mr. Prout principally handles residential and commercial permit review and construction inspection for the Town of Bloomsburg. He has also assisted with flood plain services. Brandon Pfaff, of our Code Services department, provides construction and fire inspections to municipalities in Bucks, Chester and Montgomery Counties. He joined Isett in 2017, having completed 90 courses at Bucks County Community College relating to fire fighting and fire investigations. His studies have included six courses with the National Fire Academy and on-line coursework in fire investigation offered by the International Association of Arson Investigators. Mr. Pfaff has also completed web-based studies offered by the Federal Emergency Management Agency (FEMA). Topics included the Fundamentals of Emergency Management, Preparing for Mass Casualty Incidents, Multihazard Planning for Child Care, Active Shooter, Weapons of Mass Destruction Terrisom Awareness, Understanding & Planning for School Bombing Incidents and the Introduction to Incident Command Systems. Prior to joining Isett he worked in property restoration, fire protection, and construction. Tim Dow joined the Code Services Department of Barry Isett & Associates, Inc. in 2013, after a career in the construction industry. For several years prior to joining our firm, he was an independent commercial building inspector. At Barry Isett & Associates, Inc., he conducts Pennsylvania Uniform Construction Code (PA UCC) inspections, zoning inspections, property maintenance inspections and plan reviews, apartment inspections and quality of life inspections, principally serving the Borough of Lehighton. His responsibilities include preparing monthly municipal reports detailing permits issued, project progress and property maintenance violations. Richard Halbom joined the Code Services Department of Barry Isett & Associates, Inc. in 2017 to assist with providing property maintenance, zoning and PA UCC services to municipalities in southeastern Pennsylvania. 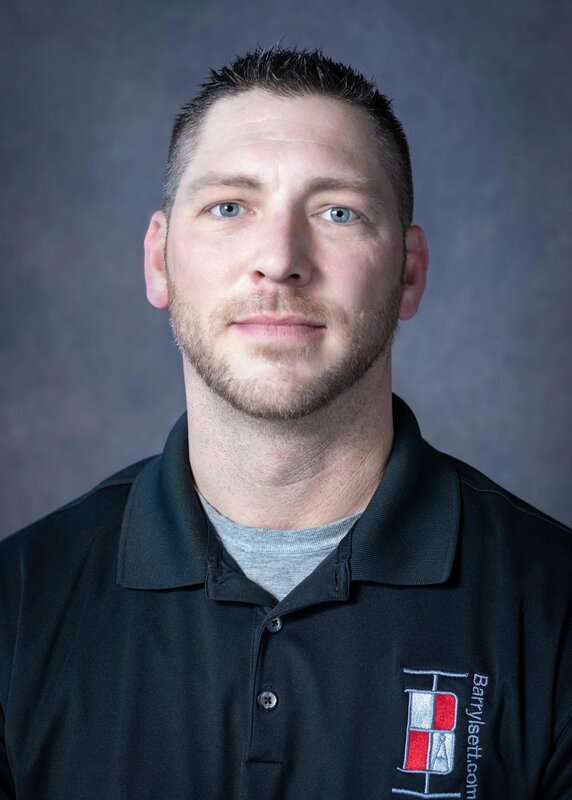 Previously employed by Code Inspections, Inc., Horsham, he is experienced in providing residential plan reviews, residential and commercial building inspections and residential rental inspections. Over the course of his career, he has been involved in various aspects of the construction industry. In 1989, he founded Environmental Geosynthetics, Inc., which specialized in providing and installing geomembrane liners, used to control fluid (or gas) migration in a variety of industries and projects, including stormwater management systems, waste disposal containment and oil field containment. He was president of the company for 20 years, providing administration, bidding and construction management, as well as staff training. Mr. Halbom has been serving on Souderton’s Borough Council since 2008. He was responsible for writing the International Property Maintenance Code Addendum that was adopted in 2016. The amendment expands the authority of the borough in securing compliance from property owners. At Barry Isett & Associates, Inc., Mr. Halbom not only serves Bucks and Montgomery Counties, but has been assisting the team provide code services to East Coventry Township, West Pikeland Township and the Borough of Phoenixville. He has also been focusing his time on achieving more certifications to further serve Isett clients. Michael Italia joined the Code Services Department of Barry Isett & Associates, Inc. in 2015 after a career in emergency response on both the local and county levels. Having served as a firefighter, fire marshal and emergency management coordinator in several municipalities for over a decade, he has extensive experience in fire-related code enforcement inspections, plan reviews, fire prevention, life safety inspections and property inspections. He has worked at length with the Pennsylvania Emergency Management Agency (PEMA) and holds certifications from PEMA, the Montgomery County and Bucks County Fire Academies and the National Incident Management Systems of the Federal Emergency Management Agency (FEMA). At Barry Isett & Associates, Inc., he conducts Pennsylvania Uniform Construction Code (PA UCC) inspections, zoning inspections, property maintenance inspections and plan reviews, typically serving the Boroughs of Red Hill, Newtown and New Britain. Mr. Italia functions as the Office Manager for our Doylestown office. He is also the Fire Inspection Program Manager for the Borough of Phoenixville. Mr. Larry Andes joined Barry Isett & Associates, Inc. in 2015. Mr. Andes is a certified Building Code Official and holds 10 additional certifications mandated by the Pennsylvania Uniform Construction Code. His principal areas of focus for code inspections are East Coventry Township, West Pikeland Township, Topton Borough, Fleetwood Borough and Kutztown Borough. He also assists with Phoenixville Borough, and provides zoning and property maintenance inspections. His projects have included inspections of apartments geared to the student housing market, fit-outs of retail spaces, new commercial buildings and residential improvements, including decks, kitchens and bath renovations. Mr. Andes participates in continuing education courses. Studies have included Solar System Installation and Inspection, IMC 101 International Mechanical Code Essentials, The Basic Theory of Anchoring and How Existing Commercial Buildings are regulated under the Uniform Construction Code. Keith George joined the Code Services Department of Barry Isett & Associates, Inc. in 2016 after a 32-year career in various aspects of the construction industry. For five years prior to joining our firm, he served as the Assistant Code Administrator for the City of Easton, where he was responsible for the supervision of third-party inspections for new construction under the Pennsylvania Uniform Construction Code. His responsibilities included managing a staff of 12 employees; performing fire, rental, pre-sale and compliant inspections; as well as handling application reviews; program development and refinement; budgeting; and setting departmental policy. At Barry Isett & Associates, Inc., he provides code inspection and zoning support to various municipalities served by Isett throughout northeastern Pennsylvania. Projects have included new home construction, residential renovations, improvements to commercial buildings and electrical upgrades. John DeCusatis joined the Code Services Department in 2016, bringing experience in both real estate development and municipal administration. He served as the Planning Administrator/Commercial Zoning & Codes Officer and Alternate Sewage Enforcement Officer for Stroud Township, Monroe County, for several years and currently serves on the Stroud Township Sewer Authority. He is experienced in interpreting zoning ordinances; reviewing and examining zoning applications; and reviewing land development and subdivision submissions prior to their review of municipal planning commissions. Prior to his work with Stroud Township, he had been with the Pennsylvania American Water Company in Bushkill. Earlier in his career, he operated DeCusatis Environmental Design, Inc., which specialized in providing Sewage Enforcement Official services. For two years, he was a sales associate with Legend Properties, a full-service commercial real estate and brokerage firm. At Barry Isett & Associates, Inc., he provides zoning services for Penn Forest Township and Pen Argyl Borough, and oversees zoning for Wind Gap Borough. He is also available to assist with Sewage Enforcement Official services. 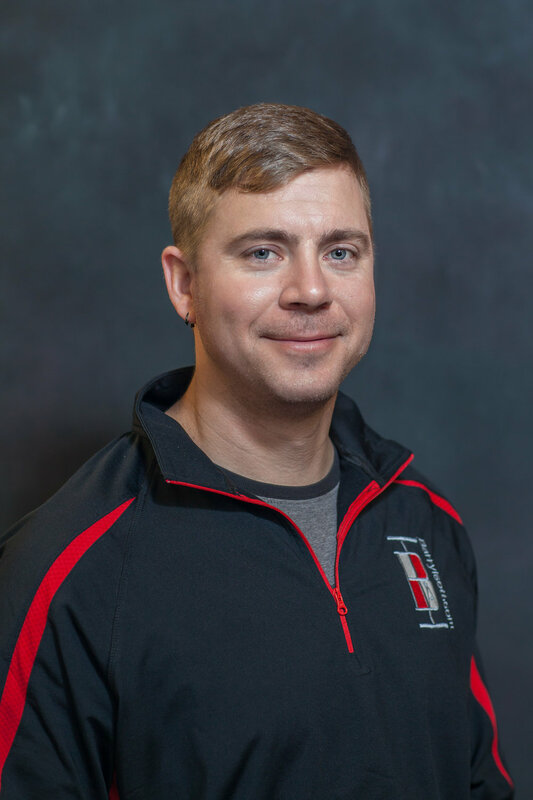 Joseph Hoffman joined the Code Services Department of Barry Isett & Associates, Inc. in 2014 after a ten-year career in the plumbing industry. He provides Pennsylvania Uniform Construction Code (PA UCC) inspections in Hellertown and Coopersburg, as well as property maintenance and zoning inspections, in the Boroughs of Bangor and West Easton. When code related complaints are filed with a municipality, Mr. Hoffman will conduct a non-invasive investigation of the property; document findings; and complete a Notice of Violation illustrated with photographs. The document is filed with the property owner with directives for compliance. Follow-up is continued until satisfaction is achieved. Monthly reports are filed with the municipality. He also conducts inspections of rental units for the Borough of Bangor. He investigates code violations and quality of life complaints, contacting property owners concerning remedial measures and follows up to confirm compliance. Greg Kurtz joined the Code Services Department of Barry Isett & Associates, Inc. in 2014, after receiving his Associate’s Degree in Mechanical Engineering Technology from Penn State. He provides UCC, health, zoning and property maintenance inspections. When code-related complaints are filed with a municipality, Mr. Kurtz will conduct a non-invasive investigation of the property; document his findings; and complete a notice of violation – illustrated with photographs. The document is then sent to the property owner with directives for compliance. Follow-up is continued until satisfaction is achieved. Monthly reports are filed with the municipality. He is also ServSafe certified and conducts health inspections of retail food establishments in the Borough of Tamaqua. On behalf of the borough, our firm maintains a log of all retail food establishments, including contact information for owners and agents and results of the inspection, ensuring compliance with borough and state requirements. Mr. Backenstoes joined the Code Services Department of Barry Isett & Associates, Inc. in 2018 to provide electrical inspections and plan reviews for Lehigh Valley, Bucks County and Montgomery County clients. He has over 12 years’ experience providing plan review and inspection services for residential and commercial projects—serving as the Construction Code Official and Operations Manager. He was the residential inspector for South Whitehall Township, Lehigh County, where he performed plan reviews and inspections for residential building, electrical, mechanical and energy projects. David is the representative for Souderton Borough, Montgomery County, in Isett’s service as the Commercial Plans Examiner and Electrical Inspection Agency. Mr. Wolf joined the Code Services Department of Barry Isett & Associates, Inc. to assist with property maintenance and zoning inspection, as well as residential UCC inspection for municipalities that utilize our services. Prior to earning his degree, he was a project manager and sales technician for Kistler Buildings, a leader in the pole building market. Christopher joined the Code Services Department of Barry Isett & Associates, Inc. in 2017, after a career in emergency response on both the local and county levels. Having served as a fire chief, a firefighter, a fire inspector and the coordinator of Advanced Life Support Function, he has a firsthand understanding of the need for proactive enforcement of building and life safety codes. His degrees include a Bachelor’s in Fire Science Administration and an Associate’s in Fire Science. He is working toward a Master’s in Public Administration with a concentration in Emergency Service Management. At Isett, he conducts Pennsylvania Uniform Construction Code (PA UCC) inspections and plan reviews for a number of municipal clients, including New Britain Borough, Phoenixville Borough, Newtown Borough and Upper Providence Township. William Gibisser Jr. joined the Code Services Department of Barry Isett & Associates, Inc. in 2010 after a 26-year career with the Code Department of the City of Allentown; during the last nine years of his public career, he was the Code Superintendent. At the City, he was responsible for conducting inspections and plan reviews for commercial, industrial and residential buildings. At Isett, Mr. Gibisser performs UCC inspection services for various municipalities throughout eastern Pennsylvania. He also conducts third-party plan reviews for Allentown and Bethlehem.